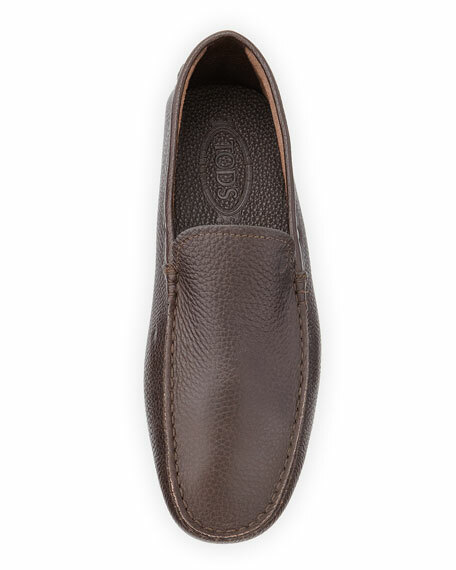 Tod's pebbled calf leather driver. 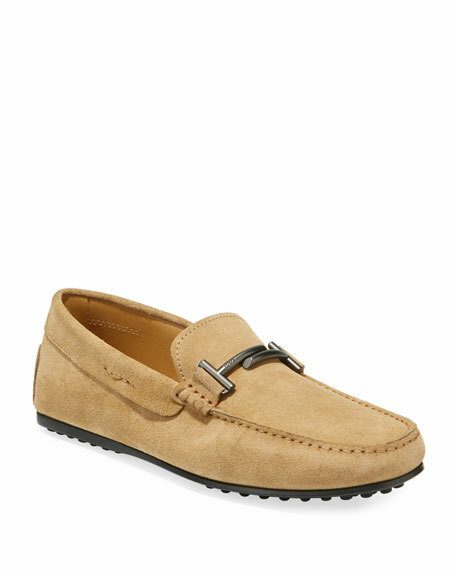 Tod's "Double T" suede loafer with logo T-bar hardware. 0.3" flat heel. Square moccasin toe. Notched vamp. Leather lining. 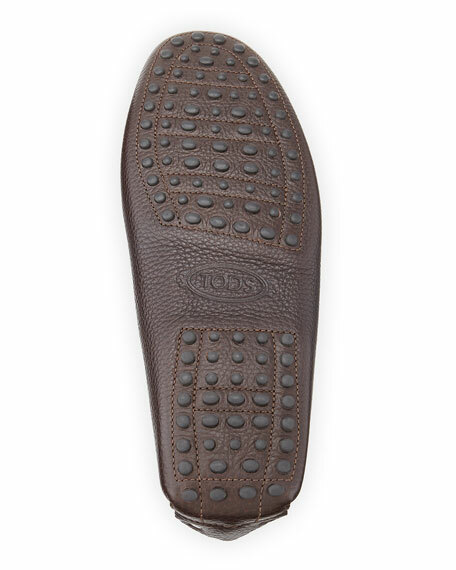 Pebbled rubber sole and heel guard. Made in Italy. 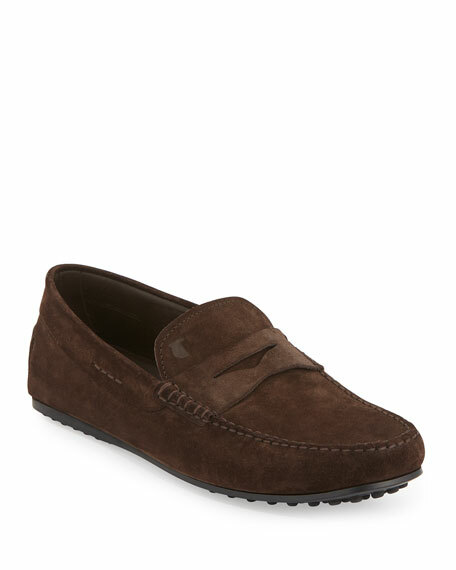 Tod's suede driving shoe. Square moc toe. 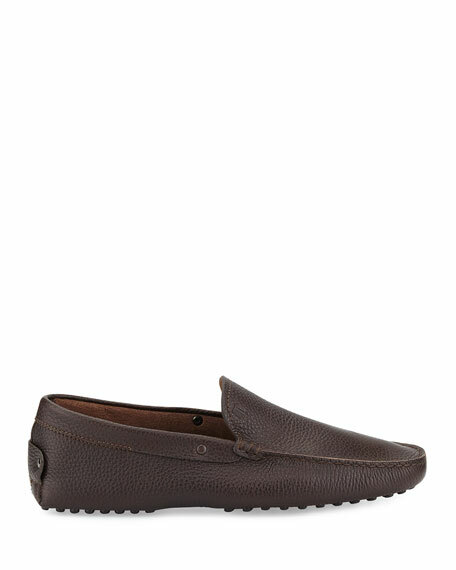 Notched loafer-style vamp. Penny strap; embossed logo detail. Leather lining and footbed. Pebbled rubber driving sole. Slip-on style. Made in Italy.